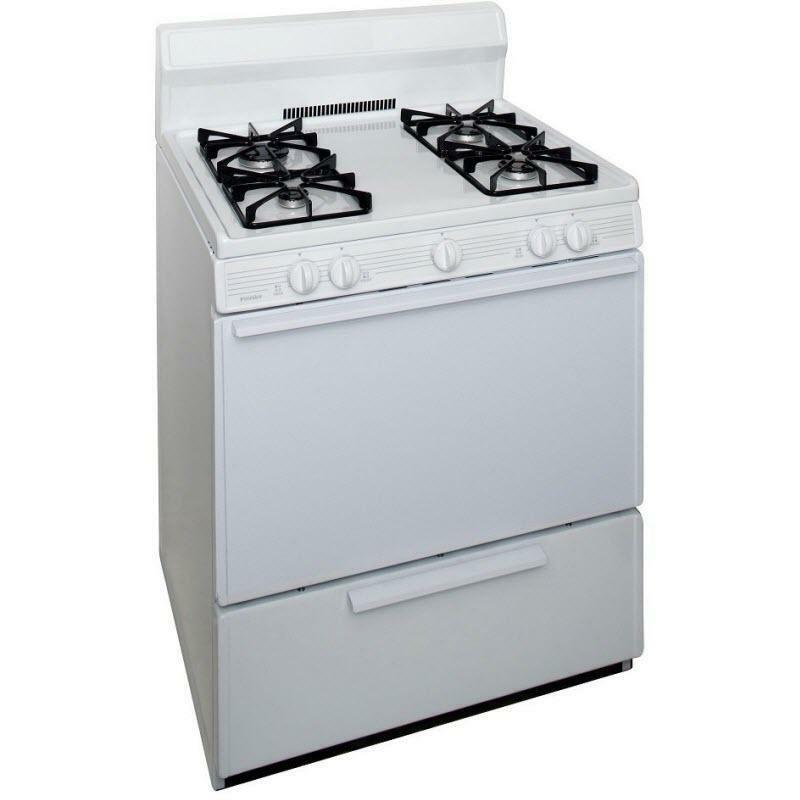 Premier 30" freestanding gas range with 4 variable sealed burners. This range features a fully insulated oven, a roll-out, drop door broiler with 2-piece porcelain pan and tray and baffled oven burners. Contains a baffled oven burner that disperses heat uniformly. Is well suited for delicate dishes. Capacity (cu. ft.) 3.91 cu. ft.